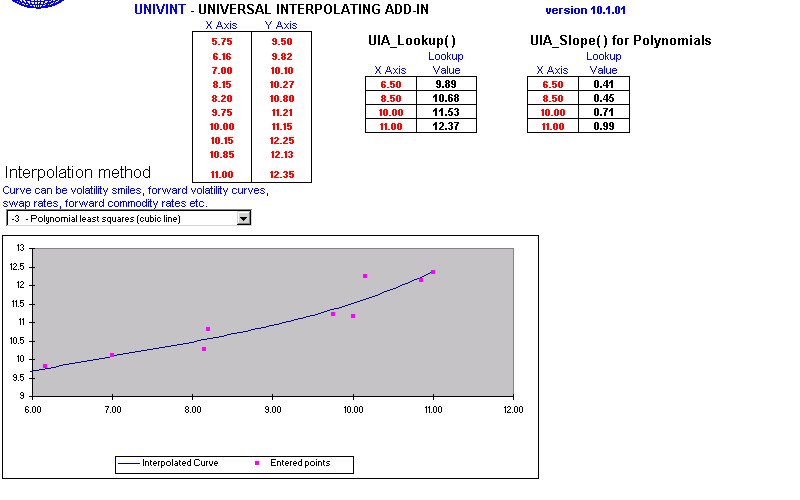 The interpolating add-in contains a number of interpolating lookup functions (straight line, cubic splining, exponentials and polynomial least squares fit etc.) 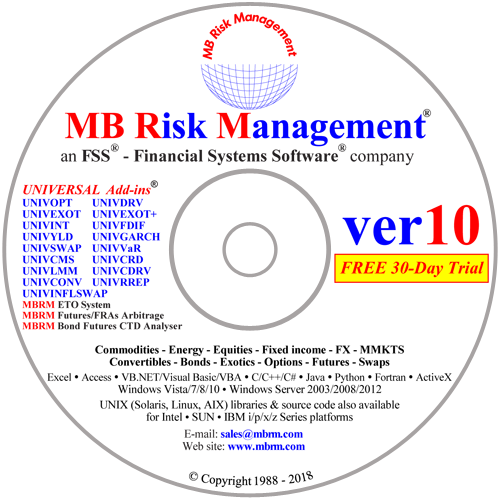 which has a wide variety of uses, including to perform lookups on one or two dimensional volatility smiles and surfaces, forward commodity rates, forward FX points etc. 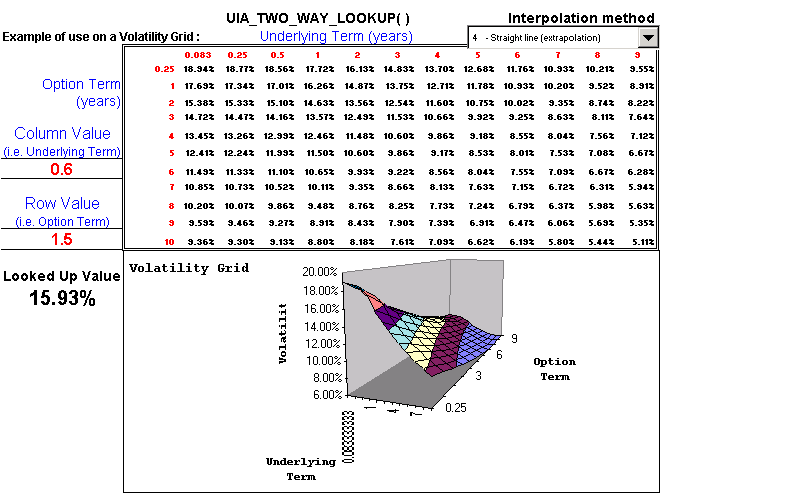 The two dimensional lookup capability is especially useful for looking up swaption volatilities. The interpolating add-in can be used by itself or with any (or all) of our other add-ins, thus providing the ability to create complex term structure models.